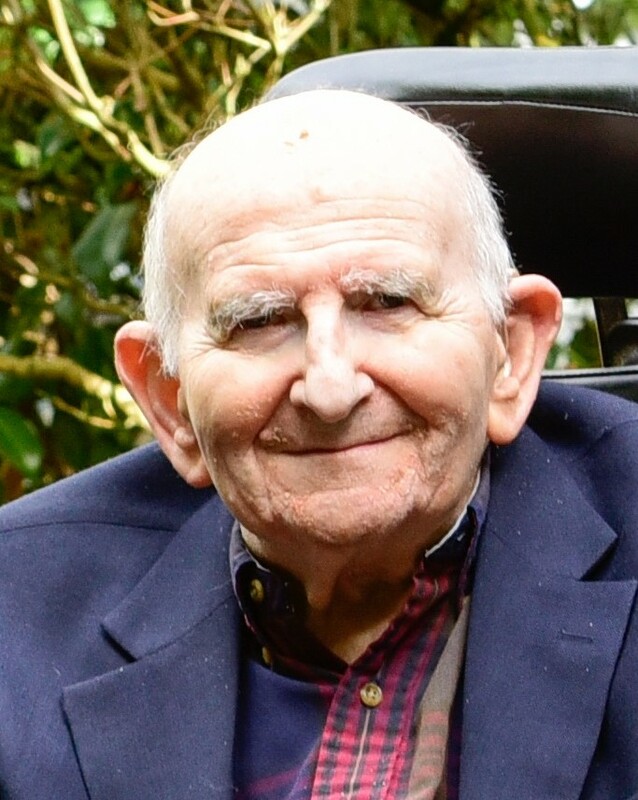 Julian Morris, 89 – Herman Meyer and Son, Inc.
Julian P. Morris, born September 13, 1929 in Louisville, KY, the son of Jake and Bertha, passed away on February 11, 2019 at the Kline Galland Home in Seattle, WA. He leaves behind his devoted wife of 65 years, Eleanor, their two beloved children Michael (Barbara) and Nancy (Glenn), along with their adored grandchildren Steven (Emily), Loryn (Trevor), Rebecca (Todd), and Jeff, and recent great-grandson Leo who shares his birthday. He was predeceased by his two older brothers, Jacques and Brooks. Julian was a dedicated husband, nurturing father and grandfather, accomplished engineer, and avid flight enthusiast. He will be missed dearly and fondly remembered by all who knew him. Julian was a loving and engaged family member. He truly cherished time spent with family and his many close friends whom he considered as family. Julian supported his children in all their endeavors and was incredibly proud of their accomplishments. Education was a strong value of his, which he successfully passed along to his children and grandchildren, all of whom obtained post-graduate degrees. Upon retirement, Julian and Eleanor began living half of the year in Arizona so that they could spend equal time with both Nancy’s family in Washington and Michael’s family in Arizona. Countless family outings, routine and elaborate, were held at Kelsey Creek Park across from their home. Julian and Eleanor played an integral role in organizing community members to lead a purchase of the private land by the City of Bellevue to preserve this park for future generations. He was an active member of both Temple B’nai Torah and Temple De Hirsch Sinai, where he acted as ritual committee chair. These congregations will especially remember his unrivaled teki’ah gedolah calls, which never failed to impress at the conclusion of high holiday services. He loved aviation and aeronautics for his entire life. When he was 14, Julian regularly biked to the airfield where he obtained his pilot’s license because he was too young to drive. He flew small planes as a hobby throughout his young adulthood. At the University of Louisville, Julian earned a bachelor’s degree in mechanical engineering at the Speed Scientific School in 1953, leading to his long career at Boeing, beginning in Kansas and relocating him to Washington, which became his permanent home. Julian enjoyed his 30+ year tenure at Boeing immensely – working as a mechanical, electrical, and acoustical engineer on many significant projects. These included the design of the first American supersonic transport (SST), the jetfoil (passenger-carrying waterjet-propelled hydrofoil), and the groundbreaking 777 jet airliner. His work also influenced the 767, 737, and various defense projects. His critical contributions to these and other Boeing projects were recognized with several career achievement awards. He had the privilege of working at his dream job, and there was no one better suited to it than he was. Beyond his lifetime interest in flight, Julian maintained many additional hobbies reflecting his diverse talents. Chief among these were stamp collecting, including an extensive collection of aviation stamps. He was an active member of the Boeing stamp club, where he forged many lasting friendships. Julian also enjoyed building and flying model planes of all sizes. He was an athlete, who enjoyed running, skiing, and watching football. He was a technology enthusiast who kept abreast of the recent advancements and was always eager to tinker with the latest gadgets. He had a considerable interest in photography. His favorite game was chess, which he enthusiastically taught to all his grandchildren. Julian played several instruments, including the cornet, baritone, and shofar. Julian will be especially remembered for his kind, caring nature. For his intellect and work ethic. For his good humor and quick wit. He was unfailingly genuine in his relationships and sincere in his interactions. He was a loyal man, exhibiting bravery and determination in the face of adversity. Julian lives on through the innumerable family members, friends, and colleagues whose lives he has influenced. Contributions in his honor can be made to Temple B’nai Torah, Temple De Hirsch Sinai, the Kline Galland Home, the National Multiple Sclerosis Society, or the Museum of Flight.